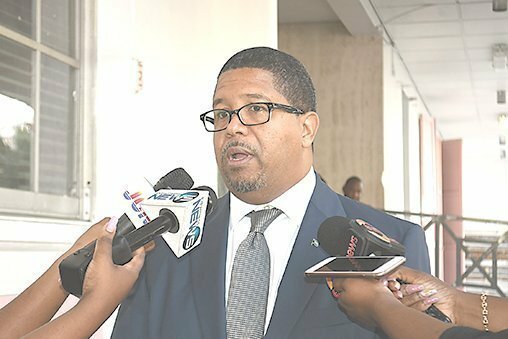 Deputy Prime Minister and Minister of Finance Peter Turnquest suggested yesterday that The Bahamas’ move to regulate cryptocurrency is a nod at creating future economic growth vehicles, as countries across the world seek to guard against certain products provided by international financial centers like The Bahamas. Turnquest’s remarks were released in a statement by the Ministry of Finance on the occasion of the release of the Digital Assets and Registered Exchanges Bill, 2019 (DARE), developed by the Securities Commission of The Bahamas (SCB). The statement said this draft legislation gives The Bahamas a competitive advantage in the world of digital asset solutions, as they become a growing, much-talked-about asset in the financial services sector. “Disruptions caused by the digitization of the economy are leading to a new wave of regulatory reform,” Turnquest said in the statement. “As countries around the world innovate new ways to safeguard against the erosion of their tax base, these developments will undoubtedly affect us here in The Bahamas. With the DARE legislation, we are looking to the future, anticipating and preparing for the changes on the horizon, forming coalitions to influence the nature of change. The statement added that this country already has “a budding crypto ecosystem” which includes start-ups, exchanges and traditional financial institutions servicing crypto companies. The statement also said that requests have been pouring in from crypto-related businesses, for the opportunity to conduct initial token offerings (ITOs) and security token offerings (STOs) that are based in The Bahamas. “New legislative initiatives will facilitate these growth opportunities and drive innovation and diversification in the industry,” Turnquest said.